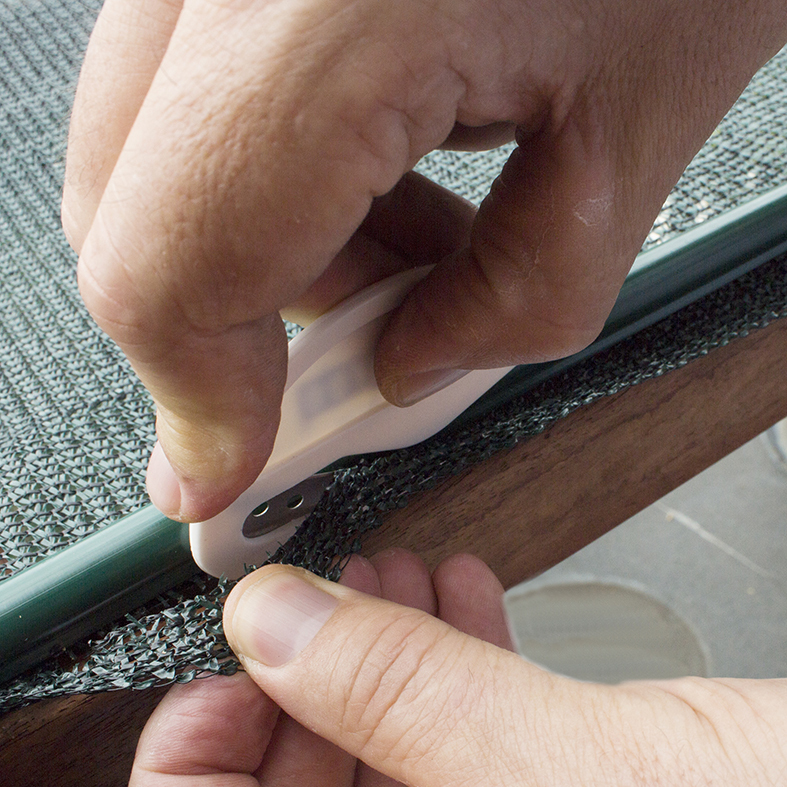 A safe and simple way to cut shade cloth fabric. 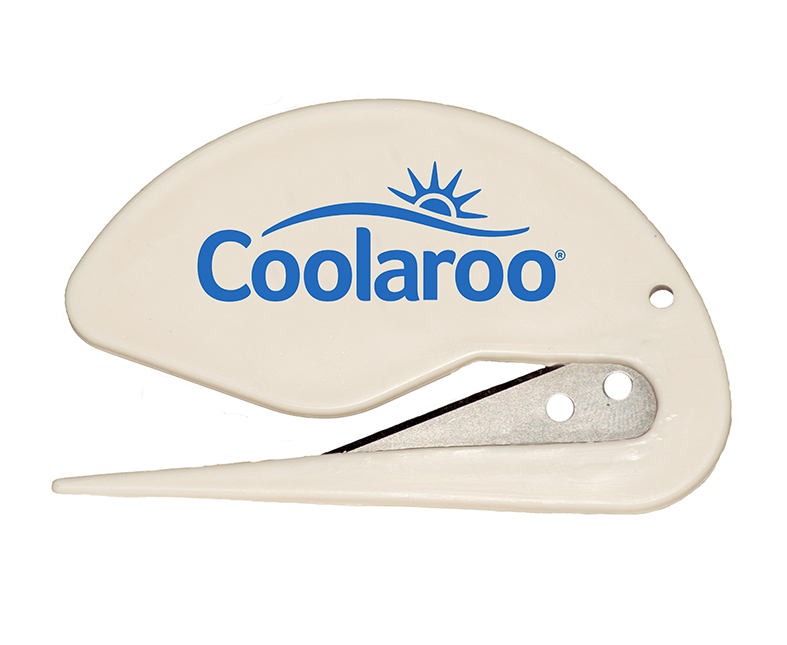 This handy tool can cut shade cloth into desired lengths or can be used for trimming shade cloth after it has been installed. 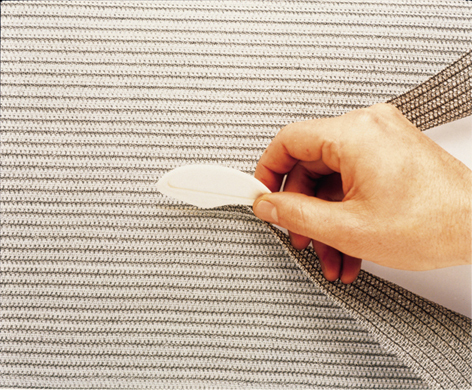 Simple feed the cloth into the mouth of the cutter and then pull the cutter along the cloth while keeping it taught.